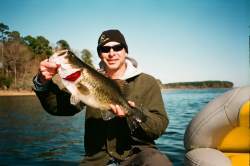 Want to catch a big fish on Toledo Bend Reservoir, but you don't have a boat? Or are you looking for some professional Toledo Bend Reservoir fishing guides to help you catch that trophy fish, then you've found the right page. Listed here are some of the best fishing guide services on Toledo Bend, give them a call and you are on your way to a great day of fishing. Good luck. To learn more about what to see and do on Toledo Bend, check out this interactive Toledo Bend Map. 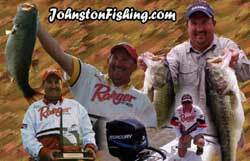 Since 1989, Professional Angler Stephen Johnston has been taking folks out on Sam Rayburn and Toledo Bend for some of the best action and entertainment that these two legendary East Texas lakes have to offer. 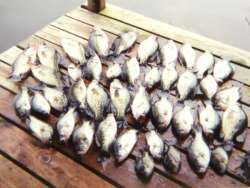 World class fishing awaits no matter what your preference; bass, crappie, or striper, it's all here! As a full-time licensed guide since 1998, Joe specializes in Largemouth bass and fishes Rayburn and the southern one half of Toledo Bend. Having fished these lakes for over 30 years he feels that there has not been a better time than now to catch a double digit bass from these waters. In addition to guiding, Joe is a frequent tournament angler, outdoor writer for several newspapers/outdoor magazines and numerous websites. You can also see Joe leading fishing seminars. 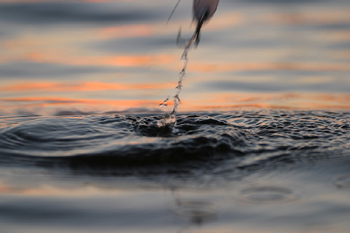 Make your limited time count with a Guided Fishing Trip with Covington Guide Service. 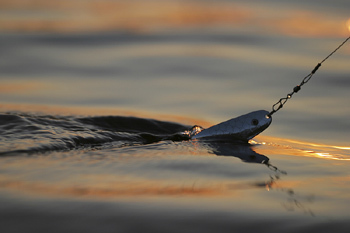 The use of electronics opens up a world of fishing that only a few people can do. They use Lowrance Electronics the family of HDS units and Navionics lake maps for boat lanes and bottom contour. They also use an underwater camera made by Aqua View to help understand what your SONAR screen is showing. These are all very helpful tools in locating and catching Bass.